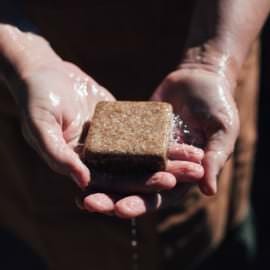 Gentle body cleansing soaps made with all natural ingredients. Good for your skin, good for the earth. Review any product on our website and we'll place you in a monthly draw to win a $20 store credit. Ethical, organic, fair trade and sustainably sourced raw ingredients. Palm oil free. 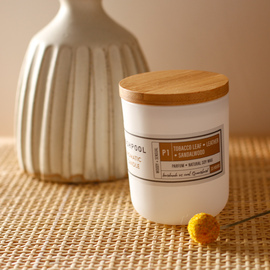 Mild & creamy for a gentle and soothing cleanse. Made with milk sourced from local hand milked goats. 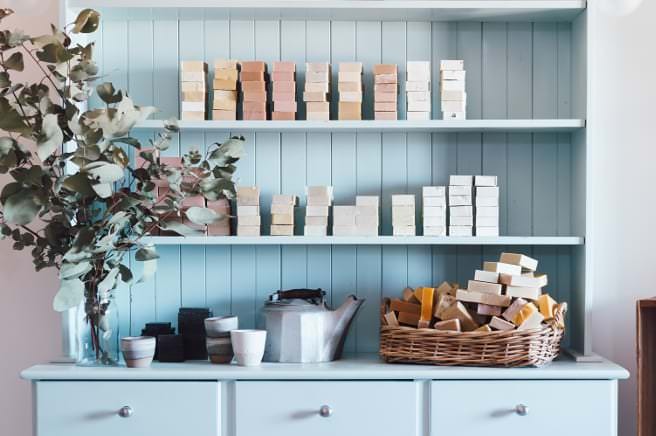 Washpool Farm Soaperie is the home of ethical, authentic and nourishing giftware and everyday home, bath and body care. Our handcrafted soaps and natural bath and body products are all handmade here at the Soaperie in Ballandean, QLD. Made with premium ingredients, our formulations are designed to cleanse and gently nourish the skin. Choose from sweet, playful, sensual, fun, simple, luxurious or downright practical - there is something in our range to suit all needs and desires. 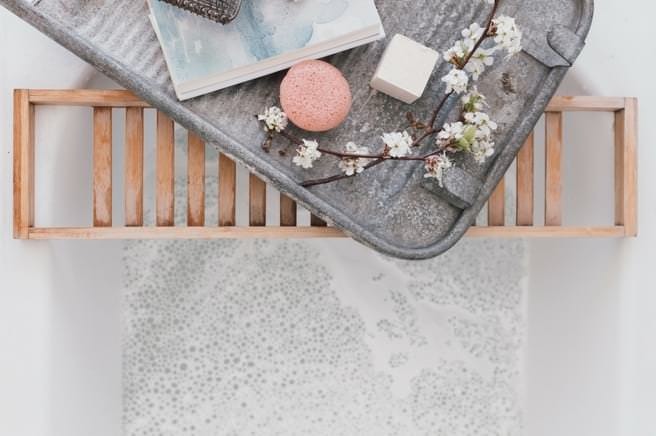 Look after your body and soul with our Face, Body & Bath range. My Son is using the low allergy soap as of tonight's bath and it feels so lovely, soft and smooth. The plain goat milk and olive oil mix suits us well. Your dog soap (purchased previously) is the ONLY product we have found to stop our little foxie terrier scratching. We thank you and Bronco thanks you (we didn't name him - he would have been Bomber if we had). Just also wanted to give you feedback in regards to the Manuka bar you recommended for my little one with Eczema when we visited with my friend Amanda last week, It is wonderful and keeps his skin moisturised and smells lovely. I am very pleased Thank you. My family were all down for a wedding and we bought lots of your beautiful products. I love your shampoo and conditioner it makes my hair lovely and soft. As i work in the pool all day i don't need extra chemicals in my products, this shampoo leaves my hair lovely and soft. Well done. Your soap is also a big favourite of mine also. Thanks for all your trouble. Thank you for my recent order. Just wanted to let you know that after only a few washes with the sensitive shampoo and conditioner my scalp is no longer irritated and my hair is so lovely and soft. I would 100 percent recommend these products to everybody. Thanks again Melissa will be in touch again soon. As a guy that shaves a lot of real estate with a blade, face and head, their men's goats milk shave and shower bars are absolutely the best. Just makes shaving a pleasure. I have dry skin. I have tried many different products to stop my skin flaking under my makeup. The dry facial serum is now my favourite beauty product! I never go a day without applying, and it sits beautifully underneath my makeup! I wouldn't hesitate to recommend washpool to anyone. And as a bonus, it's natural and amazingly priced! Fantastic product and second to none in service. 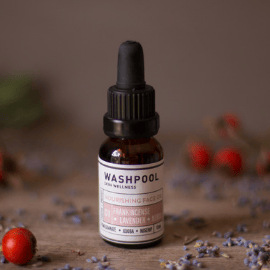 I can't fault my Experience with Washpool at all, not a thing, the personal service is beyond amazing, the products are fantastic and the ethics behind the ingredients are spot on. A fantastic company, I see no reason why I would need to buy from elsewhere ever again. One of my favourite places, just walking into the room you get hit with all these incredible smells. My skin has never been smoother and my bad breakouts are healing. From face scrub to soap to hand wash I can't get enough, even my house smells Devine with the awesome candles that I burn for hours! Thank you thank you I love all your products! your amazing Melissa and staff. 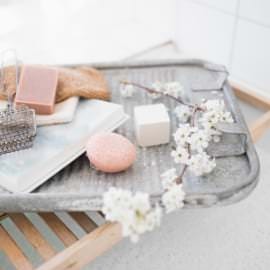 I couldn't tell you how many comments I got about how great the idea was to have these soaps as our bonbonnieres and I think your lovely handcrafted soaps definitely completed the entire look and feel of the table setting. I absolutely promote the Dogs Shampoo Bar as I have two old dogs whom have both had dermatitis for many years and no vet or regular products ever got rid of it. One of the dogs used to scratch crazily on the ground and the other one always scratching himself BUT since I used the Dogs bar the SECOND time, neither have scratched since, and the one who rolled and scratched continuously was always panting- I believe from the toxins effect on his body from the dermatitis- well he no longer pants either. Both happy healthy little old dogs now. So thank you for this wonderful product. Thanks once again for a seamless on line buying experience.